I’m still recovering from my trip to Tel Aviv. I’m still thinking about my trip to Tel Aviv and how I happened to find myself there, “representin”. I have many many people to thank. So I’m going to try like this, A Twitter List for you to follow http://twitter.com/DarenBBC/irlcontributors-4 , some photo’s and some thoughts, experiences and emotions I went through. If that sounds interesting then please do read on, I hope you enjoy, it was EPIC for me. 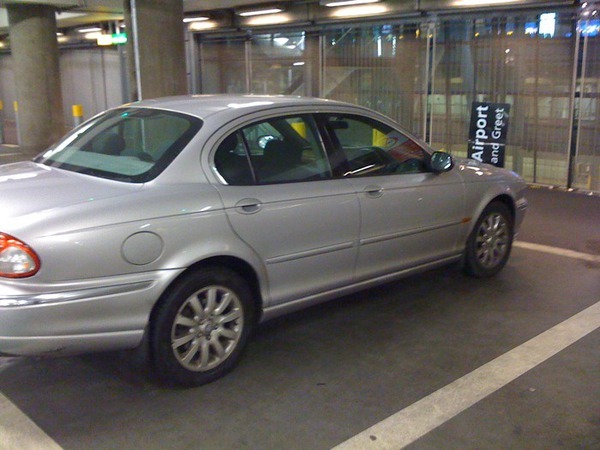 London Heathrow – T5 – Jayne had the great idea that I drive myself to H/Row and park using long term parking. I found a new service that meets you at the short term parking area and takes your car away for you, then when you return, they meet you back at short term. Perfect and only a £5 premium, which given a black cabbie quoted £100 one way to heathrow, it was a no brainer. 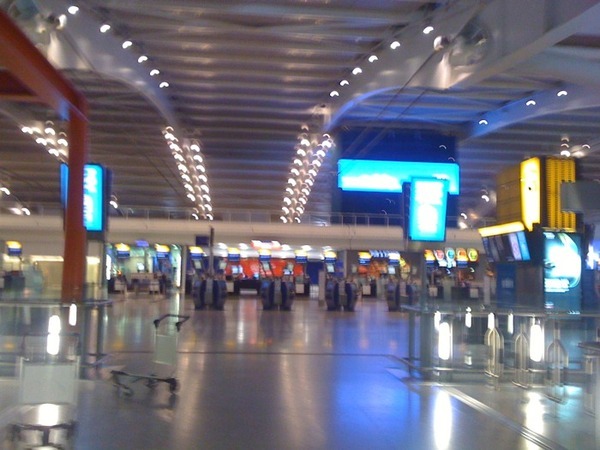 Heathrow T5 8.45pm on a Saturday night was deserted, if you’re going to fly, fly then, it was heaven. Take off was 10.30pm and I have to say the British Airways plane was great, got us in 30 mins earlier at 5.00am. I spoke to the crew because I thought the plane was new, but it wasn’t it had been refurbed. Good job, it felt new. Whilst chatting with the crew, I found out that they would be on my flight home, they were staying in Israel the same amount of time as me, 26.5 hours, of which I slept for 1 hour between 8.30am to 9.30am and 3 hours between 1.45am to 4.45am. I’m not complaining, but I;m not in my 20’s anymore, i’m still feeling the pain of no sleep. Jeff Pulver graciously offered me the use of his hotel room to shower and change before Conference, I woke Jeff up at 6am, I was earlier than expected. Jeff bought me coffee and cake and gave me some background to Tel Aviv and his activities there, the key to his room says how highly he’s thought of in the tech powerhouse that is, Israel. 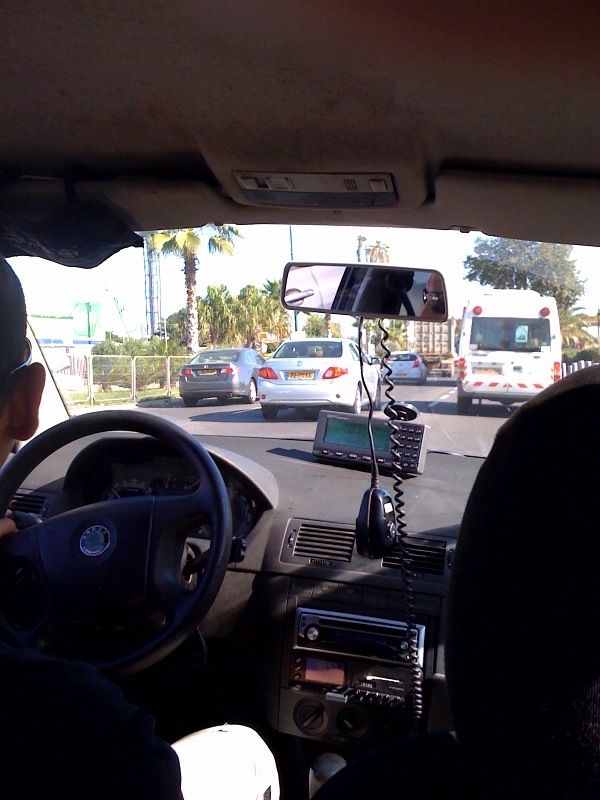 The cab ride, was I have to say, that of a middle eastern experience, no english from the driver and no idea where the venue was, Coool! 🙂 I was running a bit late, but, I’ve learnt on my travels, let destiny take it’s path, I’m powerless in effecting the outcome. I arrive just as Jeff is finishing his intro, the energy and buzz in the room was off the scale, physically, there was standing room only. I had my suit carrier and “man bag” so felt very concious walking to the front of the room, there were 200 people plus. Once settled I was greeted by smiles from the people that surrounded me. Jeff then announced to the audience that I had arrived and the room applauded, I felt joy, embarrassment, great pride and a real sense that I was “welcome”. 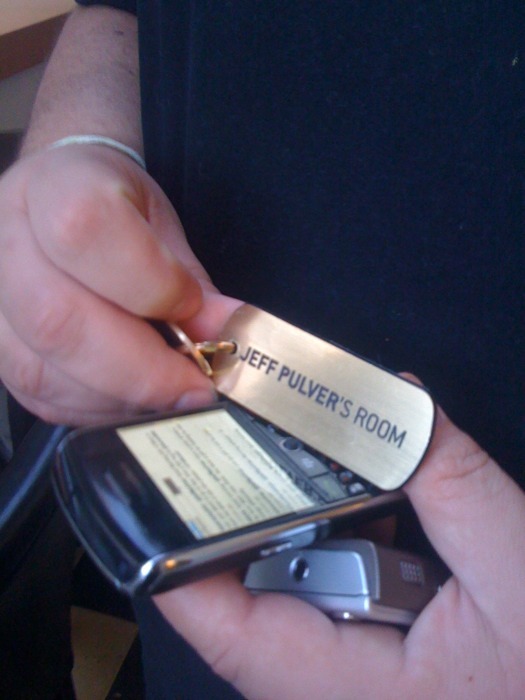 I was in room of full of Israel’s “thought” and “geek” leaders and achievers. First up was Yossi Vardi – The Grandfather of the Israeli Tech Sector, founder of ICQ. Amazing charisma, wisdom and humour. The laughter and engagement from the audience was amazing, and so natural, it was just part of what seems to happen when a couple of hundred tech/media/education/spiritual/young/old/political/music/finance related people get togethr in a room. There was a stage, with mic’s and seats for “speakers and panelists”, but that stage was for audience “use” too. I learnt, that Israeli’s take part, they don’t sit back and think it, maybe talk it down in the corridors quietly, they say it, share it, challenge and act. If it was too cold, someone shouted, “turn the heating up” or if someone said something funny ( which they did a lot) lots of people would laugh, but laugh properly and look at each other while they laughed. It’s a tough subtlety to describe, i guess you had to be there :-). And “be there” I was… Lot’s of people chipped in cash to make the experience (trip) possible, and I have expressed my gratitude to you all in some way, but there are seven people I’d like to really show my deep appreciation to. They were the catalysts, and often the work of the catalyst is under valued, if valued at all, as it’s often forgotten, but is actually the vital spark that is always required. So…here are the catalysts, thank you once again. http://twitter.com/robocallaghan – My 1st “Chip In” donator, and what a donator. Just amazing. Next edit, I will go into some of the people I met. Until then enjoi the music vid. The tempo is reflective of the intensity experienced and the “here I am” line sums up my feeling once I’d settled into my seat for five minutes. Categories: Conference, Social Media, Twitter | Tags: #140conf, israel | Permalink. DAREN FORSYTH Founder & CEO 140Characters.co.uk Daren Forsyth is the Founder and CEO of 140Characters.co.uk, a new venture dedicated to creating and promoting social change via strategic social networking across the corporate, governmental and nonprofit sectors. 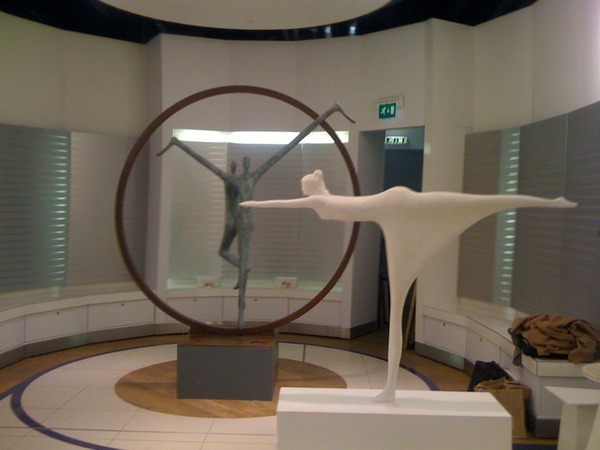 The company is based in London, England. A 15-year veteran of the digital media arena, Forsyth has earned the reputation of an energetic, dynamic and innovative business leader. A self-proclaimed evangelist for what’s possible when communications technology is employed to bridge brands and organisations with their publics, Forsyth believes that 140Characters can both tap and leverage the growing demand and need for productive alliances between the communities. The company will embrace basic social-media dynamics, as well as tools as simple as home computers, to connect diverse networks within a strategic design. The goal is to offer an unprecedented medium to collect, synthesise and generate the shared ideas, knowledge and feelings that, as a body, can effect change across broad sectors. Prior to launching 140Characters.co.uk , Forsyth served three years at the British Broadcasting Corporation in a variety of executive-level business posts, beginning April 2006. In 2007, he was promoted to Senior Business Development Manager in the Future Media and Technology division. There, Forsyth established the BBC's strategic partnership with Microsoft, orchestrating the meeting between Bill Gates, the chairman of Microsoft, and the BBC director general, Mark Thompson. In addition, he created partnerships with IBM and was actively engaged in the BBC Archive and iPlayer projects. In late 2007, Forsyth was tapped by officials and seconded to become Director of Innovation and New Media for the Media Trust. The Media Trust is a UK, broadcasting industry-supported charity that promotes communication between the voluntary sector and the media. Over the course of his tenure, through early 2009, Forsyth shepherded a host of critical digital media initiatives, including an alliance with prestigious Siemens, which donated servers to the charity and helped update the technical infrastructure of the organisation. Before joining the BBC, Forsyth was a key player in the digital startup revolution. From 1996 until its sale in 2005, he was Founder and Managing Director of the highly successful Fernhart New Media, which he built into one of the UK’s most dominant digital TV and Web agencies. Now, returned to his entrepreneurial roots with 140Characters.co.uk, Forsyth is excited by the potential of his creative new venture. Daren Forsyth has been profiled in numerous business and industry publications, including: New Media Age, the Daily Telegraph and the Guardian. In 2004, the UK Government recognised Forsyth as a “Top 100 Pioneer of the First Internet Decade.” Forsyth is available to conduct workshops for corporations and nonprofit groups; to speak at corporate events, digital summits, public relations and marketing conferences, and news-industry meetings. He is also a facilitator for assisting governmental agencies in effectively engaging and communicating with their constituencies via social media and new technologies. Thanks for being a part of what was a pretty amazing day. I’ve been creating/producing/hosting events since 1996 and Dec 6th 2009 stands out as one of my better days. There was an energy present in the room at #140conf Tel Aviv which was pretty amazing. Thanks for coming to Tel Aviv and sharing your story. I hope this was the first of many more trips in the future. Man, i hope my blog is this good some day! 🙂 haha! I have been trying to raise awareness of donating your old vehilce for tax purposes. Greetings, I’m in the process of researching for a post that I am typing for my own site. I’ve found this post very useful and I would like to enquire if I can link to this post as it will be of some interest to my viewers? Many thanks.